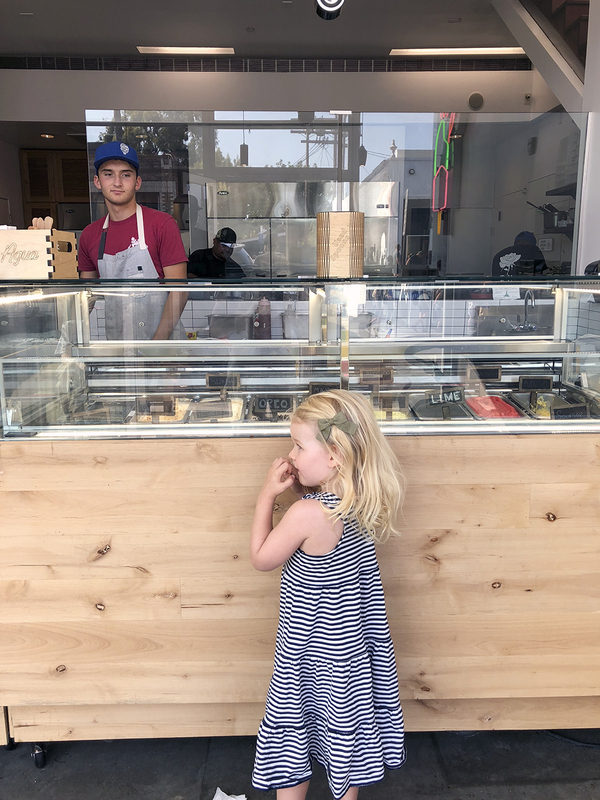 As the name suggests, Boca De Agua is a mouthwatering popsicle and ice cream shop, located on Abbot Kinney in Venice. They just opened recently (two or three weeks ago?!) and we’ve been a regular customer this summer since. 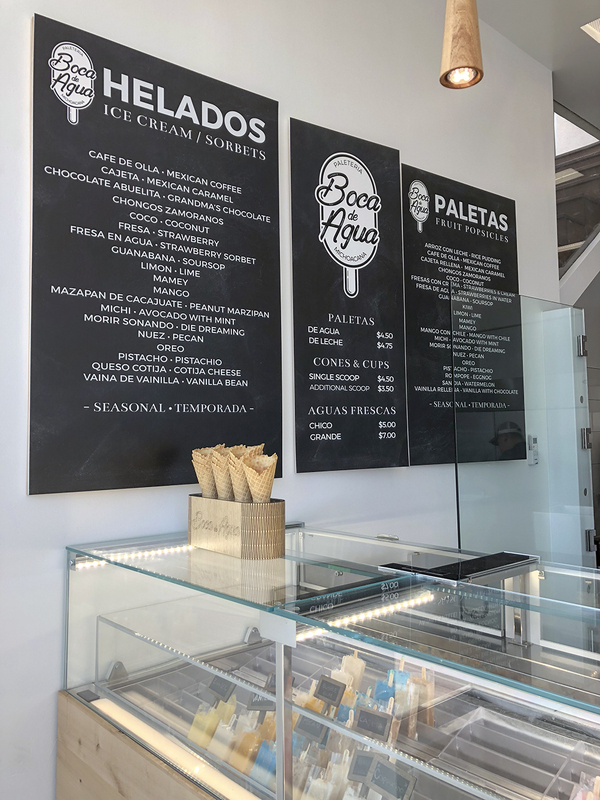 Their “paletas” are made from fresh and natural ingredients, sweetened from agave nectar and real fruit. Basically, it’s healthy Ice Cream! Go on and indulge! You can get fruity or creamy flavors, in a cone, on a stick or in a cup. There is definitely something for every taste. 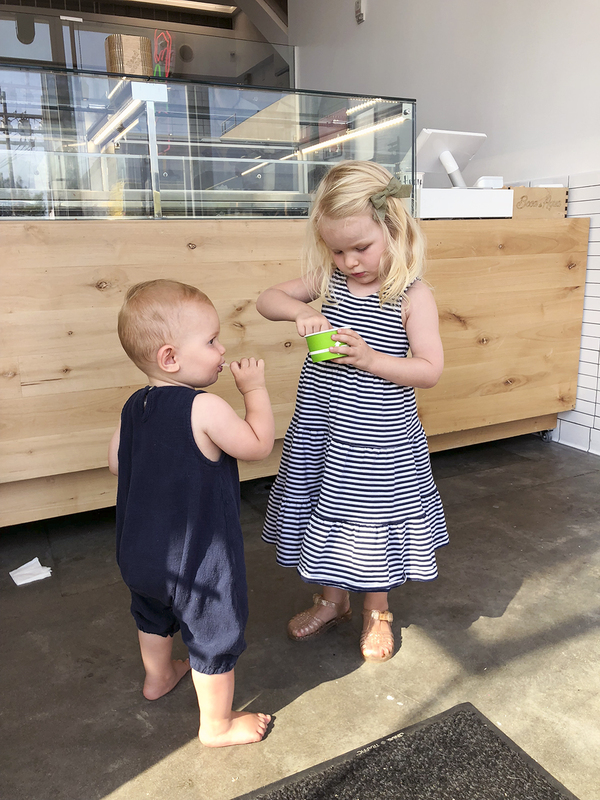 With over 20 flavors to chose from, its just a little hard to decide! 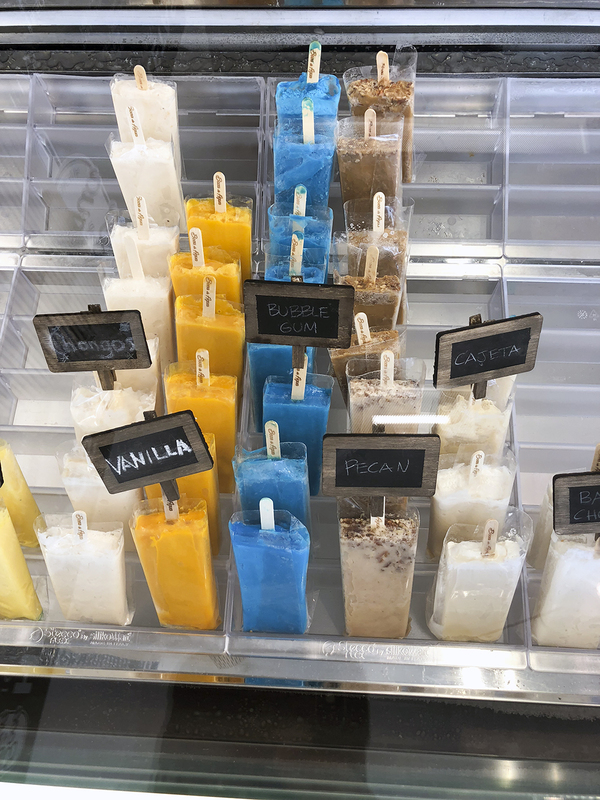 Many of the flavors are made (and named) after the traditional Mexican popsicles from Michoacana, such as Arroz Con Leche (Rice Pudding) or Chocolate Abuelita (Grandma’s Chocolate). We opted for ice cream in a cup this time, because we had another place to be after our stop at the Paleteria Boca De Agua, and the mess seemed more manageable this way. But we’ve had their popsicles, and those are the true fun to be honest! My favorite part besides the yummy flavors are the many beautiful colors (here almost sold out)!